Amazon opened its first bookstore in Seattle in late 2015 and uses Amazon selling techniques in its physical spaces. Libraries can borrow these selling techniques and replicate and perfect the experience in local libraries. Librarians know what their library users like an already make personal recommendations. There’s nothing Amazon Bookstores can do that libraries cannot. Read the full article: Frommer, Dan. “Photos: Inside Amazon’s first New York City bookstore.” Recode, May 24, 2017. Techniques Libraries can borrow and perfect for their community. Face out every single book, no book spines here! 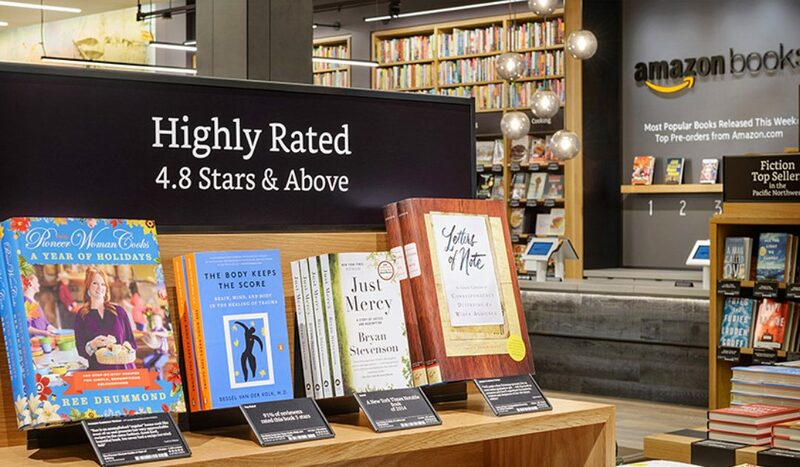 Photo credit: Amazon Bookstore display image, Amazon.com, accessed May 30, 2017.